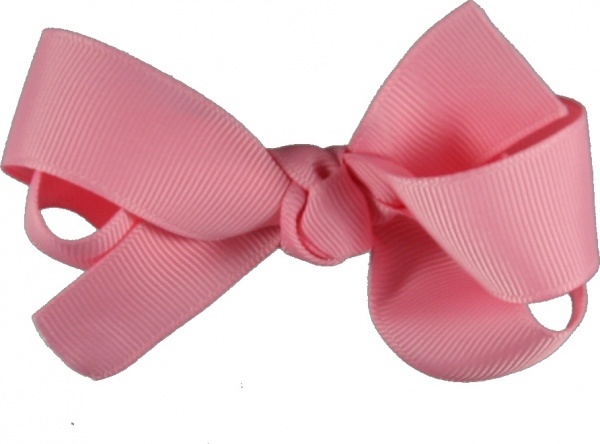 This is a great little pink hair bow that is traditional and a must have in every bow collection. This is 22 inches of pink grosgrain ribbon tied into a French knot in the center with the same ribbon on an alligator clip. It has 2 loops and 2 small tails. This pink is a great color to match with just about any outfit.